I love packages. Especially packages where brightly colored bows, paper, and sparkling ribbons abound, and tell the whole world something wonderful is occurring. Is it a birthday? A wedding? Or some other amazing event? The best part of this, from my point of view, is that most of these things are jewelry giving occasions. Which means that quite aside from making the jewelry, I get to wrap my jewelry for almost any festive occasion! It’s enough to make a perfectionist like me loopy matching ribbons, bows, boxes and card stock from tiny thumbnails in catalogs- but <em>oh</em> it’s so much fun! So while I’m on vacation this week, far away from projects, tools, and studio, here’s what I’m working on. 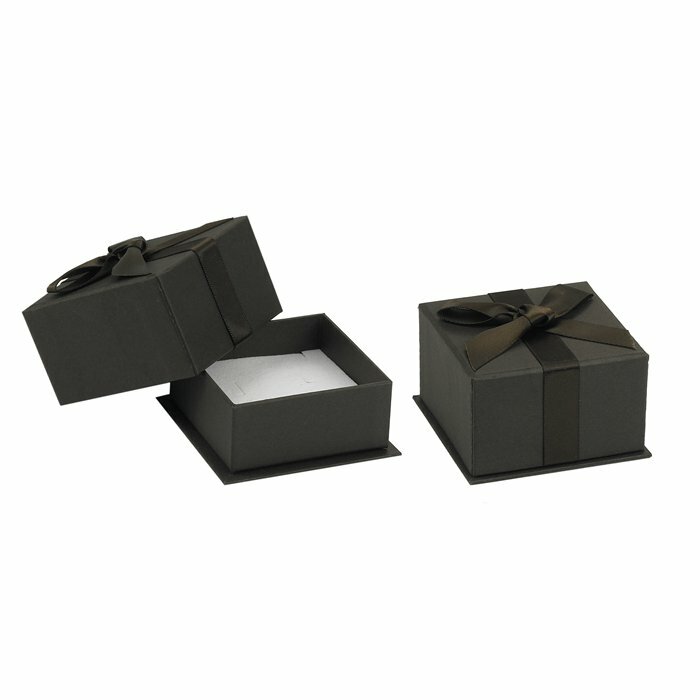 I start with my basic elegant black gift box, shown above, then wrap mostly according to seasons with multi-hued metallic curling ribbons and hand calligraphied gift tags. 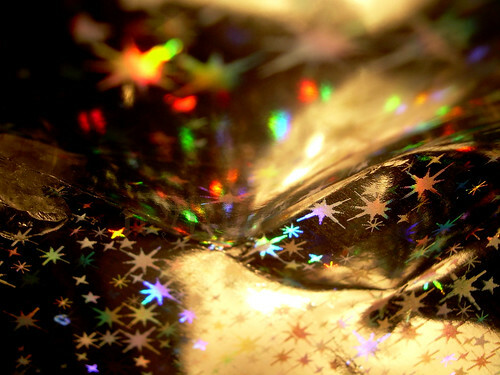 However I’ve just about run out of ribbon, and it’s time to order more boxes, so I’ve been reading gift wrap catalogs cover to cover for the sparkliest, most amazing-est, jaw-dropping-est gift wrap that I can obtain for my little jewelry packages. It’s been alot of fun! 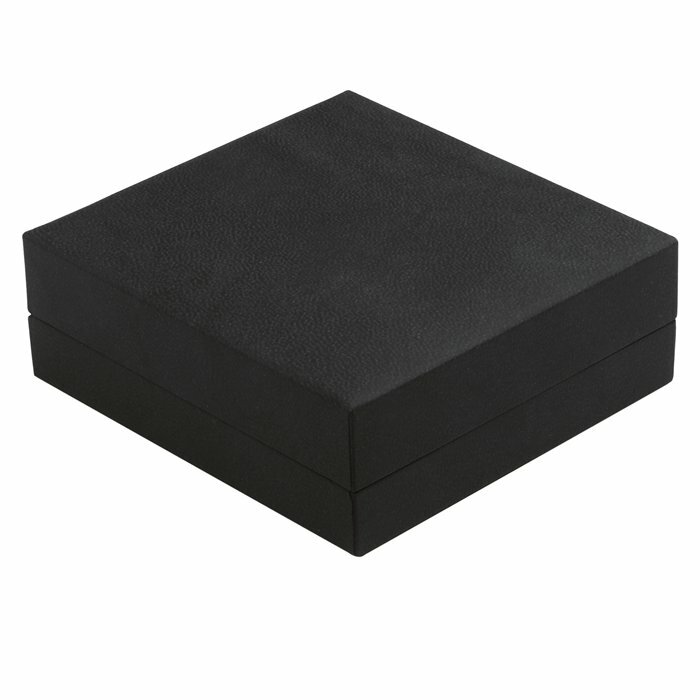 This one is more luxurious than it looks- it’s hinged black faux leather, with a satin interior, and is very durable, but I’m concerned the sizing might be off a bit, because it’s hinged instead opening into two pieces. And this last one is lovely, but is actually a dark chocolate brown, not black. 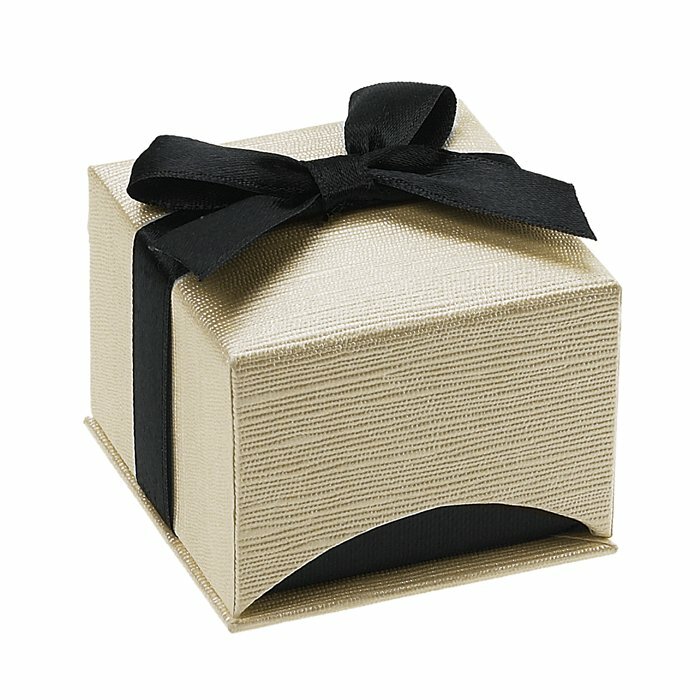 I’ve just about decided on ivory satin double-faced ribbons with metallic curling accents- but I’m stuck on the boxes. More research definitely needed! I like the black & ivory, but I also think that jewelry deserves some bling too. Some nice bold colors like scarlet and blue would go well for ribbons. Think about clothing accessories and how well a bold colored scarf goes with a classic black dress.